How often do you hear the phrase “technology is the easy part”? If that is true then what is the hard part of new technology insertion? When it comes to advancing your data initiatives, there are often two big hurdles: culture and funding. There is no magical bullet to solve either of these but they are best solved together. Bringing the business along, in terms they can relate to, will boost your chances of having a strong advocate and in turn getting the funding you need. Get a blueprint for selling your strategy to the executive leaders and a roadmap to build on your successes. Mr. Dan Chaddock is the Associate Chief Information Officer (ACIO) for Enterprise Services at the Internal Revenue Service (IRS). In this role, he serves as a principal advisor for the delivery of Business Transformation through integrated solutions, services, and standards. Dan provides executive leadership in formulating and managing short and long-term technical strategies for engineering, architecture and measures that enable a reusable enterprise approach to meeting the mission of the IRS. 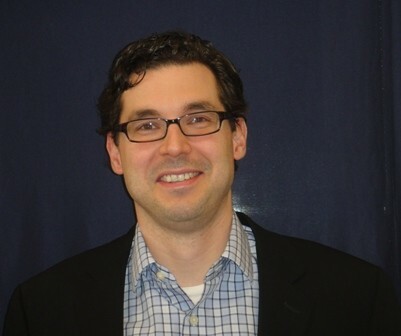 Dan has also served as the Director of Solution Engineering and Director of Enterprise Data Management at the IRS. With 20 years of experience spanning the private and public sectors, Mr. Chaddock 's career has evolved around data engineering space. Prior to joining the IRS, Mr. Chaddock held positions with AOL, a global online service provider and media company, where he established an industry-respected data mining team that helped surge AOL to then a market leader.